My Sust House is a Glaswegian approach to sustainable education, exposing kids and teenagers to issues of sustainability in design and planning through an accessible outlet: the Internet. This interactive game is narrated by two fetching Scottish cartoon characters and comes complete with an introduction on sustainability and two games dedicated to exploring “what sustainability means and how it relates to our homes.” As Sean Connery knows, even the most mundane things can be made appealing through the addition of a Scottish accent, and this charming interactive education website lives up to that rule. Even the most diehard non-greenies will be charmed by this cute interactive website. My Sust House features two games that can be played individually or in groups – one that looks at ways of creating a more sustainable environment and a second that challenges children to build a sustainable house. wonderful perspective, fantastic remedy, great picture ! My Sust House is a Glaswegian approach to sustainable education, exposing kids and teenagers to issues of sustainability in design and planning through an accessible outlet: the Internet. 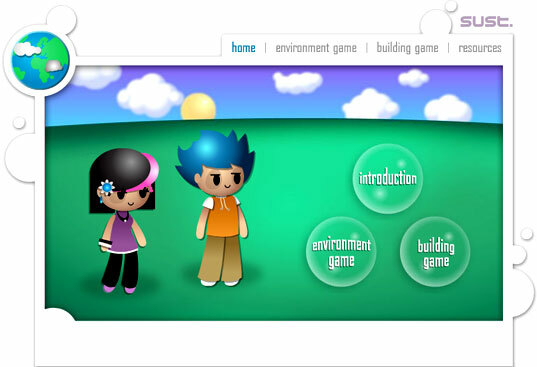 This interactive game is narrated by two fetching Scottish cartoon characters and comes complete with an introduction on sustainability and two games dedicated to exploring "what sustainability means and how it relates to our homes." As Sean Connery knows, even the most mundane things can be made appealing through the addition of a Scottish accent, and this charming interactive education website lives up to that rule. Even the most diehard non-greenies will be charmed by this cute interactive website.